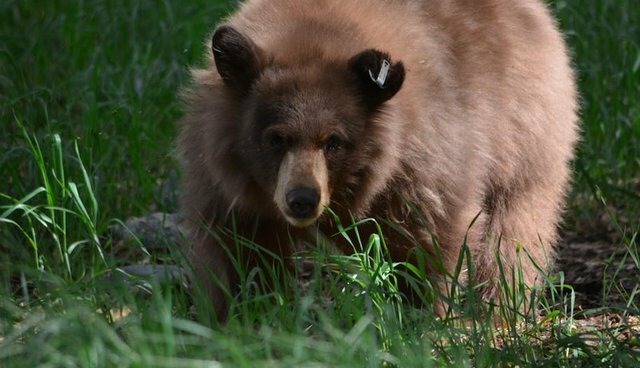 A lost bear cub who moved into arguably the kindest West Coast neighborhood ever is now all grown up and back home in the wild. Starving and thirsty, the cub was first spotted last fall wandering alone in Altadena, California, The Humane Society of the U.S. told The Dodo. Residents suspected her mother had been killed, and, after two of weeks of watching her, they realized they needed to take action. 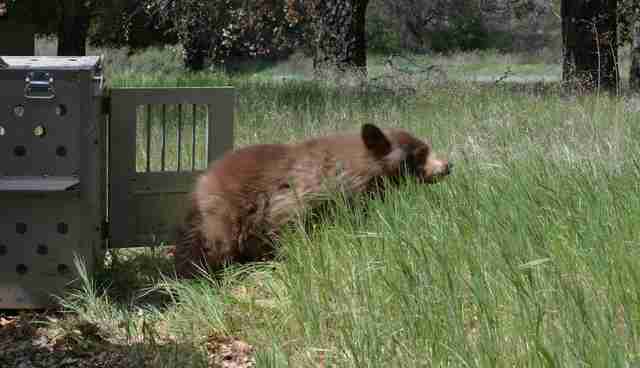 These bear-loving neighbors did the right thing: They contacted the California Department of Fish and Wildlife, who placed the cub in a temporary home to rest, revitalize and grow self-sufficient. When the 7-month-old started her rehabilitation at The Fund for Animals Wildlife Center in November, she weighed only 10 pounds. By mid-December, she'd gained a whopping 35 pounds and was ready to try her hand - er, paw - at living outside again. But how can a bear learn to be wild and self-sufficient while recovering in a comfy wildlife center? As adorable as the bear cub was, the caregivers at the Wildlife Center kept their distance from the bear so that the outdoor units can closely resemble what life in the wild is really like. They planted food inside logs so the bear could discover dinner on her own and local animal-loving residents donated pomegranates and persimmons from their gardens. The cub also practiced fishing in swimming pools. After hidden cameras showed the cub was getting savvy at single life, the cub-become-bear was ready to leave the shelter. Severe ongoing drought in California appears to be pushing many animals further into developed areas in search of food and water. "This causes increased wildlife-human conflict such as road accidents, interactions with pets and livestock, and compromises the overall health of the wild population," Ali Crumpacker, director of The Fund for Animals Wildlife Center, told The Dodo. "We can only hope that this year the bears will fare better and mothers will not be taken away from their young. 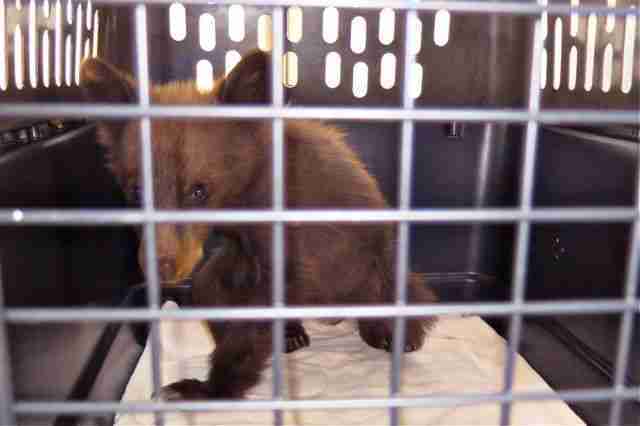 But if they do, we are ready and waiting to assist the next black bear baby in need of our help."